Glatfelter reported a net loss of $7.4 million for the second quarter of 2018 compared with a net loss of $5.7 million in the second quarter of 2017. Consolidated net sales totaled $405.8 million and $387.3 million for the three months ended June 30, 2018 and 2017, respectively. Composite Fibers’ and Advanced Airlaid Materials’ net sales increased by 1.5% and 11.3%, respectively, on a constant currency basis. Specialty Papers’ net sales declined 0.7% in the quarter-over-quarter comparison. 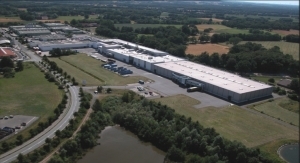 In June 2018 the company announced a definitive agreement to purchase Georgia-Pacific’s European nonwovens business, based in Steinfurt, Germany, for $185 million, subject to customary purchase price adjustments. The facility produces high-quality airlaid products for the table-top, wipes, hygiene, food pad, and other nonwoven materials markets. The Steinfurt facility is a state-of-the-art, 32,000-metric-ton-capacity manufacturing facility that employs approximately 220 people.